Cities are socio-technical systems, precariously integral, capable of growing as well as becoming smaller and fragmented but still functioning. Even though they have a resilient inherent quality, many cities around the world are witnessing slow death. The reasons could be many – environmental and social degradation, diminishing opportunities for the young population, shifting economic centers, poor governance, loss of character, etc. The dying city is reflected in everything thereafter, in its form, function, and most important the functionaries – the city dwellers. The first sign of decay is visible in the urban form, which instead of undergoing a constant transformation, stops in time and becomes redundant. The smart city concept brought out by the current government in India, urges planners to design innovative future cities to address the urban transition India is experiencing. In 1900, around 15% of world’s population lived in cities where as in 2015 more than 55% lived in cities. By 2050 it is estimated that 70% of world’s population will be living in cities. According to United Nations, Cities are using only 2% of the entire planet’s land mass and 75% of the world’s natural resources, accounting for approximately 80% of the planet’s greenhouse gas emissions. The challenge ahead for city planners is to accommodate the 70% population which will be living in cities by 2050 in the 2% of land available to them. Improved access to global markets, rapid advances in technology, as well as rising expectations of citizens is fueling the growth engines of urbanization. Cities around the world are embracing a smart agenda. There are several definitions of what it means to be a “smart city,” thus giving an opportunity to governments to define their own programs, policies and procedures, responding to their own unique priorities and needs. Famously, the word SMART as an acronym stands for specific, measurable, achievable, relevant and time-based goals. Most of smart city frameworks in the developing world comprise projects and programs that feature smart grids, smart buildings, clean technology and smart governance. However, apart from meeting basic needs, smart cities need to also improve livability, give its citizen a sense of pride, ownership, identity and belonging. Every city has a peculiar character, represented by elements such as smell, form, colour, texture, sound and culture, commonly described as the urban fabric. A smooth texture, a ragged landscape, a dense weave, a focal point, an intriguing maze, etc., all represent the city’s unique character. Thus, just like a fabric, a city also has a print, a pattern and a colour and when it evolves with time, more often than not, it changes these inherent characteristics. In other words, by accommodating migrant population, welcoming new cultures and traditions, the city voluntarily or involuntarily absorbs elements – and loses its basic essence for better or worse. Delhi is a historic city, between 3000 B.C. and the 17th century A.D seven different cities came into existence in its location. The remnants of each of these seven cities can be seen today in structures such as Gates, Tombs, Water Bodies, Economic Activities and Streetscape, though most features have lost their fervor with time. An organic city by nature, Delhi has seen drastic changes in its urban form. Several rulers conquered Delhi and adorned it with their symbols, Turk introducing Minar, Mughal Domes, Persian coloured tiles, Maratha’s shikhars and British Bungalows with Gardens. However, in modern times, the urban design is not dependent on rulers and thus before a city involuntarily transform we need to plan the inevitably transformation. The launch of four flagship Missions (Smart City, AMRUT, HRIDAY and Swachch Bharat Mission) by Ministry of Urban Development, Government of India represents a realization of a paradigm shift which is taking place in addressing the challenges this evolving unplanned urban transition. These interlinked Missions built on broad overarching objective of creating clean, sanitized, healthy, livable, economically vibrant and responsive cities propagate ‘Planning’ as a fundamental tool for providing realistic direction and cohesive development. The question however still remains – will smart cities revive the decaying urban fabric? The cities of today need a renaissance movement to make them more inviting, sustainable and vibrant. Art can be instrumental in renewing the look of the city and thus the new trend of using graffiti in portraying emotions, conveying messages and giving dimension to the otherwise plain façade is an idea which is fast catching up in cities around the world. An individual’s expression, graffiti – triggers different reactions from onlookers. Where, many relate to them, some also find these obscure and obstructing. Besides, igniting different feelings amongst people they are being welcomed more and more as part of the urban form. In addition to urban features like, street furniture, signage, kiosks and structures; art and colour are becoming popular urban elements reversing the slow death a city is prone to undergo. Art on the walls of houses, schools and community spaces is not new to India. Women have been painting their homes from outside by drawing specific geometric patterns. Folk art and strings of mystical stories are common illustrations found in villages with lined mud houses, helping to differentiate the otherwise similar looking brown facades. Photo 3: Traditional paintings on the walls of Rural India. Continuing with this tradition, Delhi has recently endorsed graffiti on its vertical frame changing the streetscape altogether. One of the first public intervention adopted by the residents of Lodhi Colony in Delhi has helped convert their residential area into an art district. Several Art Volunteers from across the globe have been tasked to reform the plain walls of the residential blocks into masterpieces. The art portrays – mythology, technology, nature, Indian ethnic patterns, future but above all it portrays pride. Pride which every citizen needs to feel for their larger abode – the city in which they live to respect and to protect the space. Daljeet Kaur is Associate Director – Knowledge Management with IPE Center for Knowledge and Development (http://ipeckd.com/ipeckd). IPE CKD is the knowledge management arm of IPE Global Limited (www.ipeglobal.com), which was established in 2013 to extend the frontiers of knowledge and promote experimentation for innovative solutions to global development challenges. Alongside her work, Daljeet pursues her passion of painting, sketching and drawing under the banner madhURBANi. Walking along the Regents Canal at the end of last year, this Tasmanian Tiger caught my eye. As Londoners, life can be fast-paced, and not in the least stressful – everything happens at 100 miles per hour, and if it’s not, then you’re probably not doing it right. Or at least, it certainly feels that way… And yet, this encounter made me stop and pause and look and reflect. The Tasmanian Tiger is extinct, and amongst the bleak backdrop of greying sky and murky canal water – I couldn’t help but wonder if it had been worth it? Did the person who placed this up want me to reflect on the Tasmanian Tiger (okay, not indigenous to London) but on the wider disappearance of the natural world within our very urban existence? A quick Google search revealed that the artist behind these eulogy-style pieces is Indiana and The Extinction Project, “my work has focused on the idea of wilderness and freedom, in escaping from the current modern society and moving to the country. This society steals most of our time in exchange for money that we spend on things we do not need, and in the process we are destroying what we really belong to: the nature and the world”. 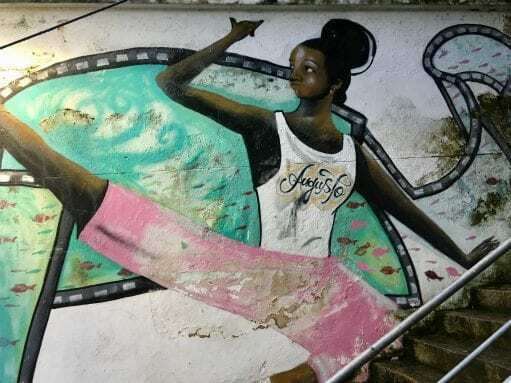 Walking the streets of many cities around the world, I’ve often come across artistic interventions from people having taken to the streets and scribbled, scratched, pasted, created beautiful murals or one-word retorts. While the expanse of what can be described as street art is huge, I define it as the act of taking to the streets and inscribing on the walls artistic, but also a political, social and environmental responses to the state of the world from a very personal perspective. Over the last few years, I’ve researched urban street art as a tool for social transformation. The world has an infinite depth of artists, writers, and creative individuals marking their place in the world. Street art is a powerful tool in reflecting the experience of the urban, provoking an engagement of urbanites with their environment. As a global artistic and social movement, it repurposes space through experimental interventions and challenging the dominant visual culture (an unending stream of advertising, commodity, industrialisation, consumption and alienation), it provides alternatives to this vision. Encounters with urban street art within the everyday create social interstices, opening up ways of seeing and feeling the world differently. 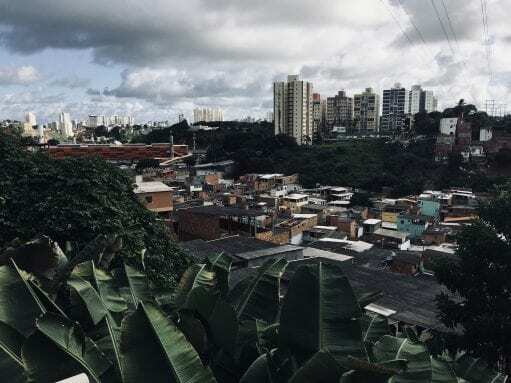 Through its lens, we reconnect within an increasingly urban existence, one we had forgotten the natural and social entanglements that make up the fabric of the urban context. With urban street art disrupting the mainstream experience of the urban, the spectator is provided with an alternative vision of the world at play. As a result, at the crossroads between urban street art and everyday life, the spectator evolves from a passive to an active participant. By awakening new understandings and raising consciousness, engaged urban street art provokes a re-engagement of urbanites with the environment, acting as a catalyst for transformative social change. So, that’s the theory. But in practice? To move beyond the topical and speculative to the practical act of catalysing transformative social change, there needs a more grounded understanding of the cultural effect of urban street art itself: Who are the spectators? How does it make them feel? What do they take away from the encounter? Do they change their routine because of it? How can we understand more fully the role of the active participant? The same question started rolling itself in my head: “How does urban street art open up new ways of seeing and feeling the world around us?” I began to ask around, artists and academics, everyday encounters and in-depth research. These interviews are part of a wider project around documenting these encounters around the city. In very different ways, illegal and legal street art play a role in the shaping of public spaces; an interplay for confrontation, awareness, beautification, response, anger, activity. It is this activity, which allows people to participate and take responsibility for their public spaces. There is a dualistic role between the counter-culture and anti-capitalist retorts of illegal pieces as there is a desire and need for legal wall spaces, carefully chosen to brighten and breath life into others. This is not an either/or. The beauty of what is called urban street art today, will be called something different tomorrow, but the act of taking to the street and inscribing on the walls is nothing new. What we should hold onto are the messages; the powerful voices which interlace personal with political, social, and environmental, which momentarily occupy the space on the walls and between the streets as well as living on beyond, once documented online. I would tread carefully in describing urban street art as a subculture, as it has been expunged by the mainstream attempts to monetise it. Yet, there remain many artists who continue to use the streets, both illegally and legally, to speak about issues they hold important, some of whose notoriety is spread across the timelessness of the internet, and others who remain faceless scribbles. All of whom, nevertheless, play a part of this artistic and social movement. I would more easily call myself a researcher and an urban planner before an artist, but I strongly believe that one of the greatest attributes of urban street art in creating social transformation is that it awakens a dormant creativity within us all, and with it, a refreshed curiosity in how we shape, create and impact our everyday. So, the next time you Instagram that piece that caught your eye, ask yourself: what just woke up inside me? Claire is a DPU MSc Environment & Sustainable Development alumna. Since graduating in 2012, she continues to research the role of urban street art in re-naturing urban imaginations and experiences. She is applying for a PhD to begin in 2015 on urban street art in West Africa and the effect of marking surfaces in public spaces, however her interests are rather more interdisciplinary, lying at the cross-sections of; community engagement, urban street art, public interest design, sustainable development, town planning, creative cities, art psychotherapy, mental health, the psychodynamics of public spaces, and their impact on place making in the city. She will be publishing a fuller version of the account above as a DPU working paper in the coming months entitled “The power of urban street art in re-naturing urban imaginations and experiences”.